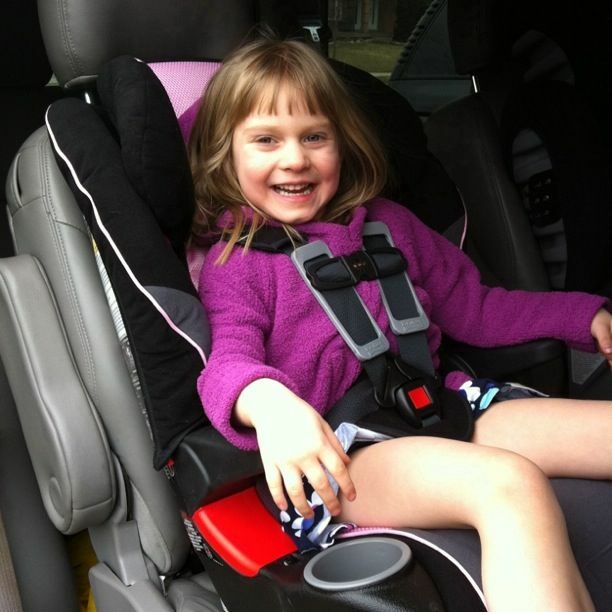 Forward-facing seats are for older children with stronger back and neck muscles. As long as your child fits within the weight and height ranges of his or her rear-facing seat, it is best to use that seat for as long as possible. 5-pt Harness for as long as possible! Are you starting to see a pattern?? As with wanting to keep kids rear-facing as long as possible, you want to keep kids in a 5-point harness as long as possible. (For more information on extended rear-facing, please read yesterday’s post). Higher weigh forward-facing seats are becoming more common. Some have a maximum weight of 65lbs! A 5-pt harness spreads the force of a collision across the core of the child’s body and holds them firmly in their seat. 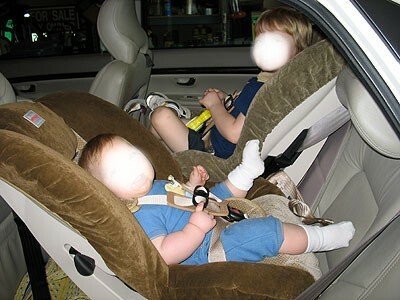 Unlike a booster which just positions the child properly in the vehicle’s seat belt and expects that the child’s frame is strong enough to withstand the force of impact. Every province (and country) has their own laws, which is the minimum requirement for turning a child forward facing and moving them into a booster. But it is recommended to keep them in a 5pt harness as long as possible. If the seat was used rear-facing then you’ll need to read the instructions for the seat so that you can re-route the LATCH belt through the seat in the proper position. Why get your car seat checked at a car seat clinic? 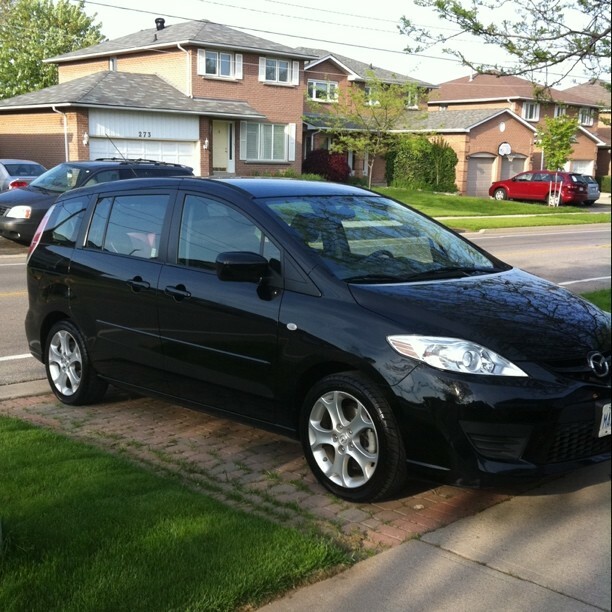 Please note: I am a certified Child Restraint Technician in Ontario, Canada. Please check your local laws about car seats and always read your vehicle owner’s manual and car seat manual before installing your child seats. This data will be updated as required. Babies have weak neck and back muscles. 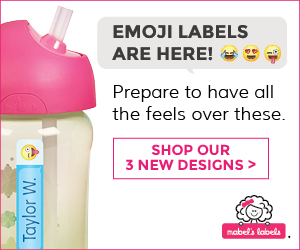 Their necks need extra support while in a car. 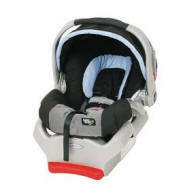 A rear-facing infant seat will support your baby’s neck in a sudden stop or crash. 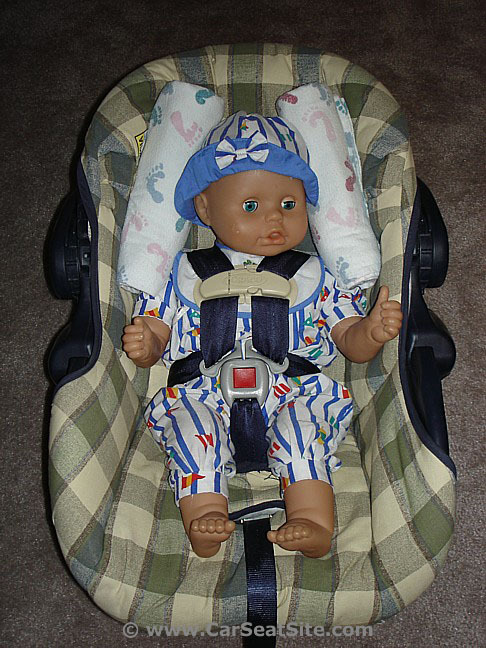 Some child car seats can be used for more than one stage of your child’s development. Rear-facing until age 2 (at least)! This is a very big statement! It shows the importance of keeping a child rear-facing for an extended period of time. Every province has their laws, which is the minimum requirement for turning a child forward facing. But it is recommended to keep them rear facing as long as possible. When children are small, their vertebrae are made up of separate peices. These pieces don’t fuse until closer to 6 years old. In the first picture there is a cervical vertebrae for a one-year old (left), and beside it a cervical vertebrae for a 6 year old (right). Note that the 1-yr old’s vertebrae is still in pieces. With a very weak spinal column due to the make up of the vertebrae, small children could be severely injured if put in a forward-facing car seat too soon. All provincial rules vary, please check your laws as to what seat your child needs and what position it should be installed. Snuggle Bugz — Rear-Facing Car Seats, Why Do We Do This?